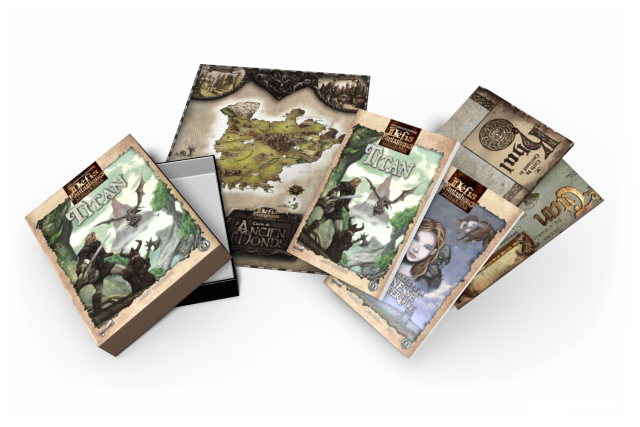 104 pages of gamebook goodness. As usual, feedback is appreciated! Ignore the problems with the site! This is almost done and ready to go. Expect it soon! In anticipation of the next issue, the web site has been given a going over. A Kickstarter/Indiegogo-style fundraiser is going on on the French equivalent, Ulule. This is for a French translation of Titan by Scriptarium as well as a new module and maps. Follow this link to join in and contribute! Also, Scriptarium have issue #3 of Draco Venturus out. You make your way over to a small table back against the wall, the only one with an open seat. The restaurant is crowded with single travellers and entire families. For most, this will be the final stop in civilization before setting out into the windswept plains to their final destinations of Montana, Colorado or points west. By the time your steak arrives, the area has slowly begun to clear. You’ve built up quite an appetite and make short work of your meal. You look up to see a tall man in a dirty coat looking down at a young woman and small child sitting at the next table. The woman looks up fearfully while drawing her child near. This is Six-Gun Friday by Gaetano Abbondanza and illustrated by Massimiliano Amadesi. When the most notorious and dangerous gang of outlaws in the west, the Friday Clan, decide to relieve the town of Bent Reed of all its funds, the people turn to their one hope for justice: the town Marshall. YOU are the lawman for the good people of Bent Reed, and YOU vow to put an end to the clan’s run of lawlessness, come hell or high water. Will YOU achieve fame and success on your daring mission, or will you simply be another name added to the clan’s long list of victims? Issue #13 features an interview with Peter Darvill-Evans, covering his Fighting Fantasy gamebooks and work at Virgin on the Doctor Who original fiction ranges. You introduced willpower as a new stat in Beneath Nightmare Castle. What made you tinker with the rules in your first book? 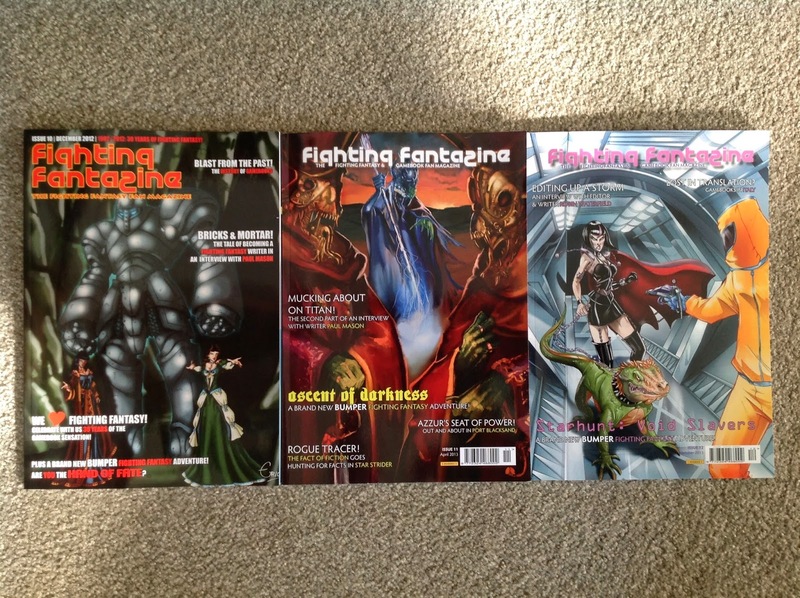 I think – and I must stress just how long ago all this occurred, and that my memory is notoriously poor in the absence of documentary evidence – that I had felt from the inception of Fighting Fantasy books that the standard stats made for a rather simplistic game experience. In each of my books I tried to stretch the original Fighting Fantasy concept, but in each case in a way that I hoped was appropriate to the subject matter. In a tale of Lovecraftian horror, willpower seemed like the necessary additional ingredient. Just to prove that things are still ticking over at Fighting Fantazine, here is the cover for the next issue due out hopefully by the end of this month. Cover art by Michael Wolmarans!